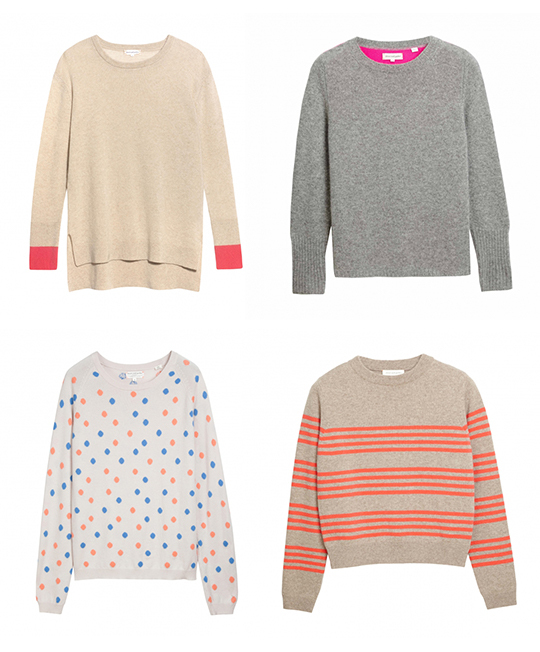 British knitwear brand Chinti and Parker's current winter sale is a true bargain paradise for cashmere lovers. The label's fall/winter collection--comprised of cozy sweaters, loungewear, and winter accessories--is now 70% off. The sale is happening via their online store and you'll find items like slouchy cuff sweaters for $142.50 (originally $475), cropped stripe sweaters for $118.50 (originally $395), mitten scarves for $84 (originally $280), and heart pyjama sets for $52.50 (originally $175).